We finished a major update for Anchorage.io last week. Here are some of the main highlights and new features. 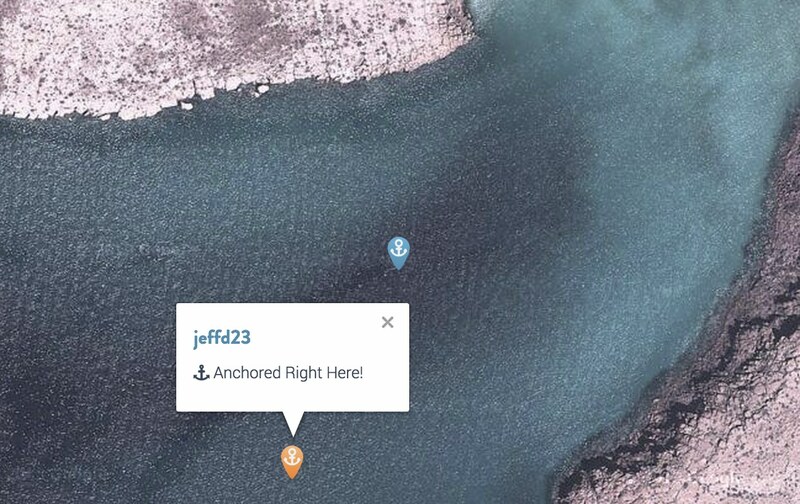 Our friends on @indigo gave us the idea to allow users to pin their exact GPS coordinates in an anchorage. Now, when you post an experience for a location, you click or tap the map exactly where you anchored. This gives people the ability to share the best places to drop the hook when entering a large anchorage or bay. See the picture above. One request we’ve received frequently is the ability to send messages through the app. A simple messaging system has been implemented allowing users to contact each other through the app. From the user’s profile page, click on the icon to send a message. All user-to-user conversations are kept private. This project really depends on community participation and the collective knowledge of boaters from around the world. It is now possible to add locations if they don’t already exist. You just need to know a few basic facts about the location, then click it’s exact GPS coordinates from the map. It takes about 3 minutes from start to finish. That’s about it for now. We look forward to adding new features as this project evolves.